We first saw a gag reel at San Diego Comic Con, and now a full, hysterical one is coming our way on the Outlander Season One Volume Two DVD/Blu-Ray. Some of the clips in the videos below were shown in the SDCC gag reel. 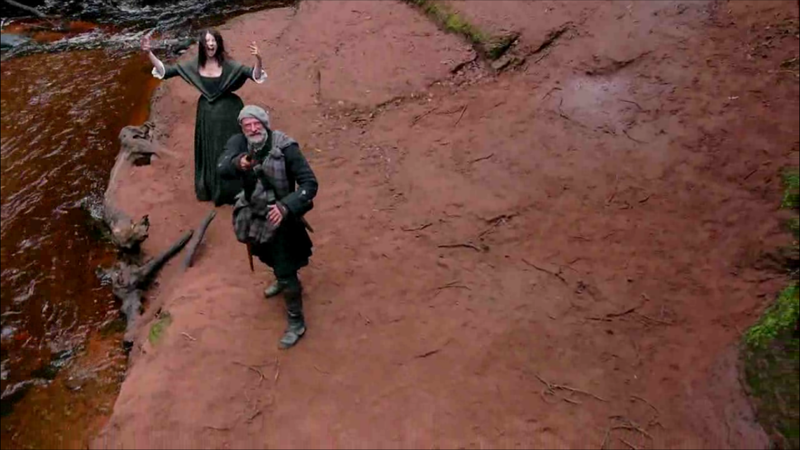 I think Graham McTavish is the real winner of the gag reel compilation. This entry was posted in Annette Badland, Caitriona Balfe, Diana Gabaldon, Duncan Lacroix, DVD/Blu-ray, Finn den Hertog, Gary Lewis, Graham McTavish, Grant O'Rourke, Ronald D. Moore, Sam Heughan, Simon Meacock, Stephen Walters, Tobias Menzies and tagged Annette Badland, Blu-ray, Caitriona Balfe, Diana Gabaldon, Duncan Lacroix, DVD, Finn den Hertog, Gag Reel, Gary Lewis, Grant O'Rourke, Ronald D. Moore, Sam Heughan, Simon Callow, Special Features, Stephen Walters, Tobias Menzies by Sarah Ksiazek. Bookmark the permalink.